In his latest epistle on living with cancer on MedPage Today, Howard Wolinsky addresses what he has come to understand is a very sensitive topic. Your sitemaster did discuss this issue with Howard as Howard was thinking about this article. Suffice it to say that, in your sitemaster’s fairly extensive experience, different people can and do think about this issue in very different ways for all sorts of very different reasons. Consequently, we should all be sensitive to the fact that some people feel empowered by “labeling” themselves with specific terms while others can find the same language extraordinarily dis-empowering when applied to them. Much of this probably says more about our individual personalities and mindsets than it does about the “rightness” or the “wrongness” of the term “survivor” and other terms Howard refers to in his article (at least when applied to cancer, and other disorders too). I personally do not like the term “survivor”. It implies achieving the point of being “cured”, which is premature for anyone with our disease as it can return decades after what appeared to be successful treatment. It also implies one has “survived” a lethal event. 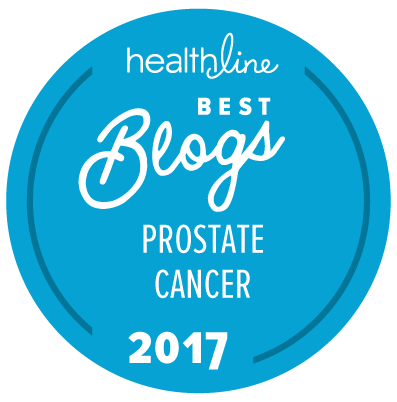 For the majority of those with our disease, our prostate cancer had a low ultimate risk of death compared to other issues. I consider myself a prostate cancer patient currently in what hopefully will be a long-term durable remission. Jon: I could not have said it any better! Perfetto!